During the summer months there's nothing like a fresh cool salad for lunch or dinner. Romaine, baby spinach and kale are my favorite greens. to add a little crunch! 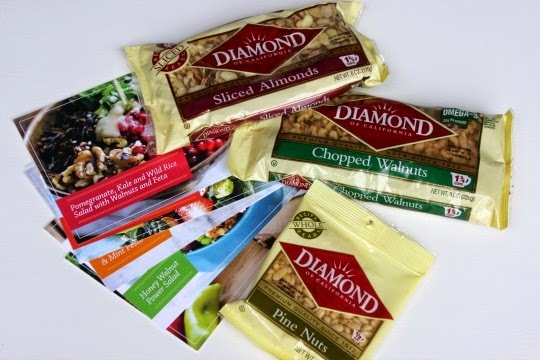 Sliced almonds, chopped walnuts, pine nuts - I love them all! me to come up with some new salad combinations. I love the contrast of the berries against the greens and they are a tasty combination too! feta would be a nice addition. Now isn't that a pretty salad! 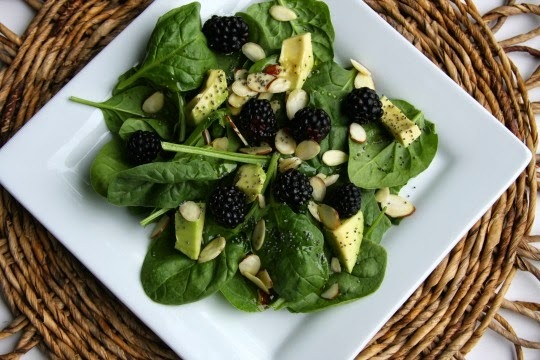 Put baby spinach into a large bowl, sprinkle with sea salt. 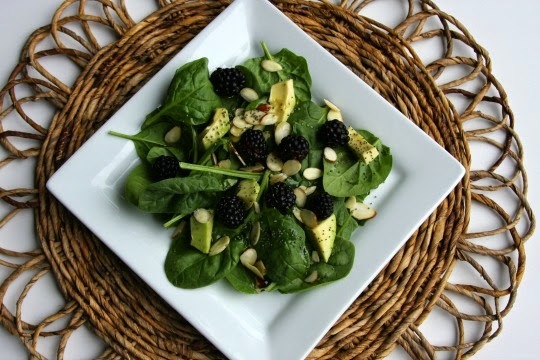 Add the blackberries, avocado, almonds and feta cheese; tossing gently. and pepper. Shake until mixed. Pour dressing over the salad; tossing to coat.